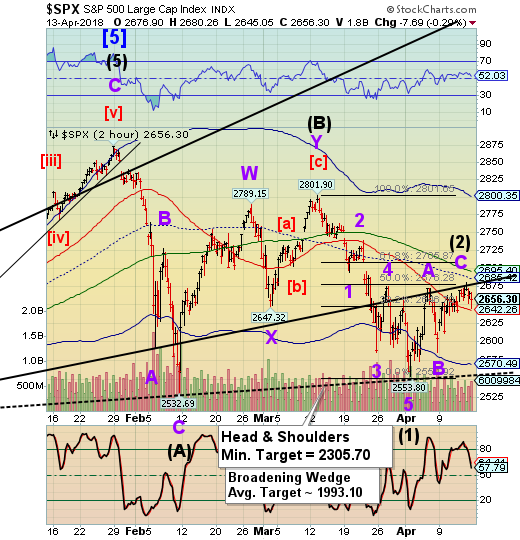 SPX futures bounced back but appear to be stopped at the 2-year trendline at 2675..00-2680.00 without making a new high. The Cycles Model suggests there may be some residual strength throughout the week during which options expiration may take precedence. 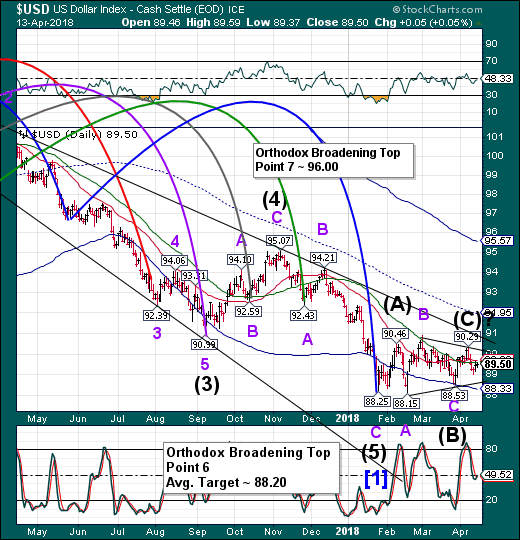 OpEx has the ability to increase turmoil in the markets. As a result, this period may be protected by the powers that be. Once Wave (3) begins, it should be unstoppable. However, there may be an effort to delay its onset. 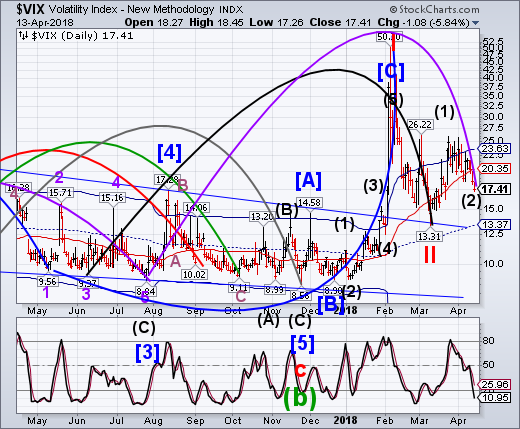 VIX futures hit a new retracement low over the weekend. The Master Cycle low is now two weeks overdue which makes it likely tha the low is imminent if not having occurred over the weekend. It is rare to see a Master Cycle low come due more than 17 days beyond the mean period of 258 days. TNX futures are higher this morning. The threat of higher rates may be the downfall of the equities. ZeroHedge comments, “Is the global economic recovery over? USD futures are declining. The Master Cycle low is due over the next few days. 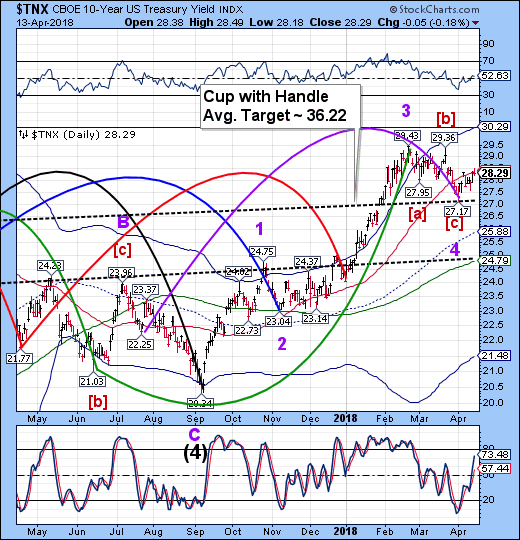 Its potential target may be as low as the Cycle Bottom at 88.33. From there we may see a rally to the Cycle Top resistance at 95.57.